Gov. Scott Walker says he’s “looking at” whether a large Brookfield company should still get up to $12.5 million in state taxpayer assistance now that the firm has purchased naming rights to the new Milwaukee Bucks arena. Democrats say if Fiserv has the money to spend on naming rights, it doesn’t need the state aid. Gov. 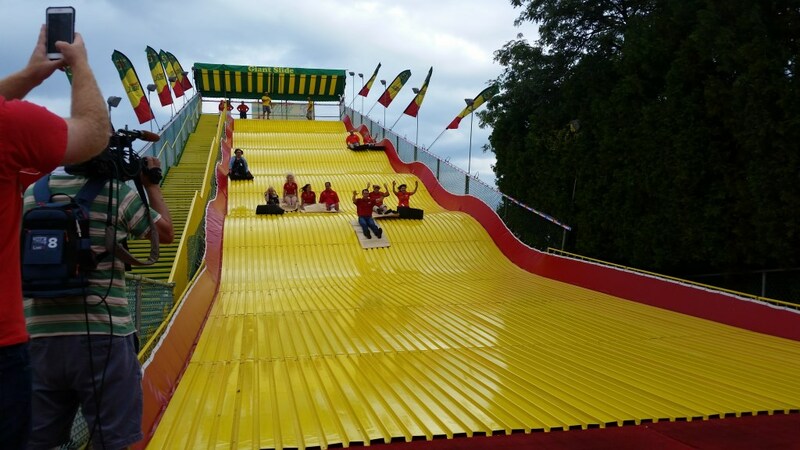 Scott Walker goes down the Giant Slide at the Wisconsin State Fair, as the fair opens its ten-day run in West Allis. Photo by Chuck Quirmbach/WPR. So, we’ll be watching very closely, and obviously these are things to factor in that weren’t a part of the original discussions,” Walker said. Asked if he was bothered Fiserv reached the naming rights deal while state aid for the firm is potentially on the table, Walker declined to directly answer, repeating those are “all things we’ll factor in,” if the company applies for state assistance. State Sen. Tim Carpenter, D-Milwaukee, was also at the opening ceremony for the Wisconsin State Fair. 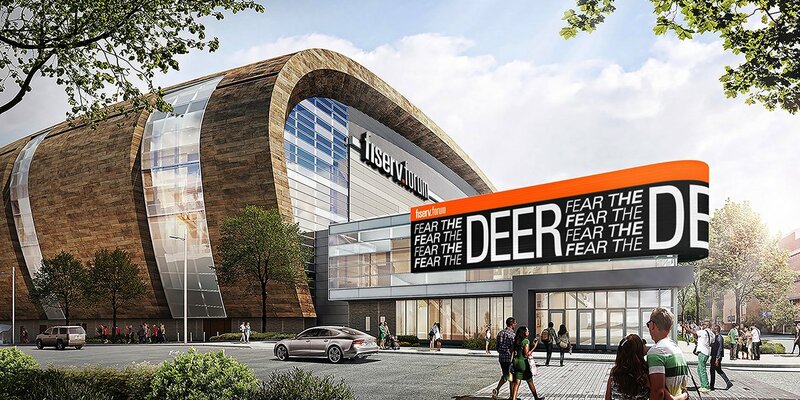 He told WPR that taxpayers are already putting about $250 million into the Bucks arena, so “it doesn’t pass the smell test,” that Fiserv should get another $12.5 million. “I would hope the governor would try to work something out. But it just makes a bad deal (the Foxconn incentives package) look even worse,” Carpenter said. 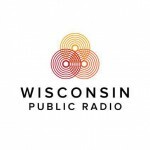 Walker Says He’s Looking At All Factors Surrounding Potential Fiserv Inc. Aid was originally published by Wisconsin Public Radio.